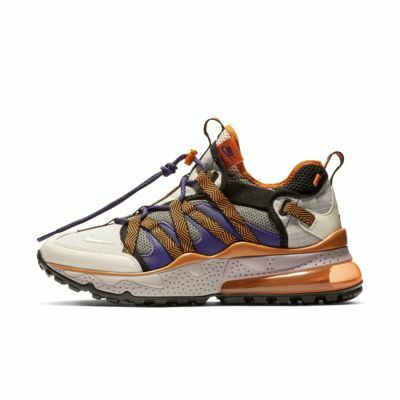 Named for a fish that can breathe both in the water and on land, the Nike Air Max 270 Bowfin Shoe epitomises versatility by combining elements of trail shoes and water moccasins. It pushes this utility-inspired look into the future with the addition of Nike's largest Max Air unit. 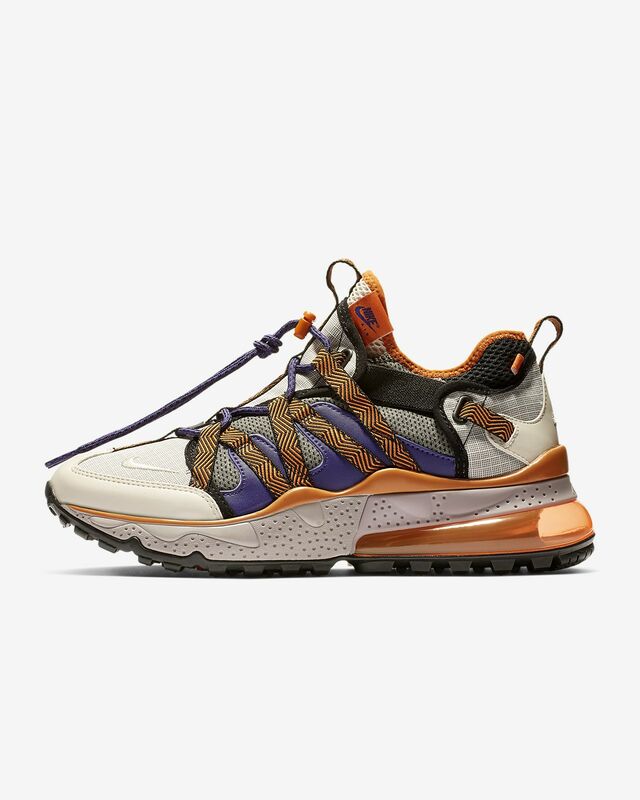 Named for a fish that can breathe both in the water and on land, the Nike Air Max 270 Bowfin Shoe epitomises versatility by combining elements of trail shoes and water moccasins. It pushes this utility-inspired look into the future with the addition of Nike&apos;s largest Max Air unit. Textile and synthetic leather upper takes design cues from trail shoes and water moccasins. Max Air unit is Nike&apos;s largest to date. Trail-inspired traction pattern provides durable grip. Best nike shoes I’ve had in a while. Most comfortable nike’s I’ve had. I went up a size but had to return. Run fit to size for me. Great deal, on sale. Getting another pair . Love the shoe very stylish . I have wide feet so had to go a size up they’re a snug fit . True to size. I got a 12. Beautiful construction. Snug comfortable fit. You stand taller in these. Most attractive shoe ever. Highest quality you will ever wear at any price.